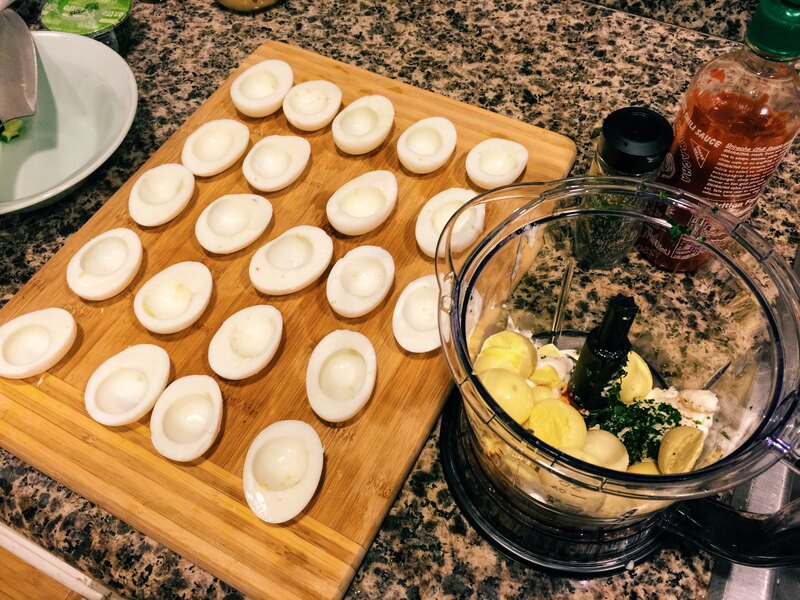 Low Carb Deviled Eggs With a (Spicy) Twist! 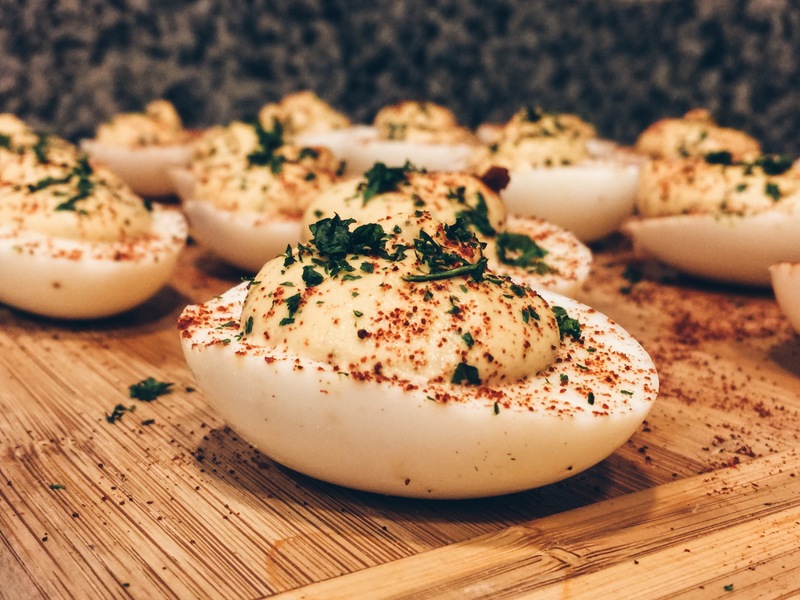 The quintessential deviled eggs recipe, with a little extra kick! Packed with protein and full of flavor, these eggs make great low-carb snacks or hors-d'oeuvres. And the best part: only 4 grams of carbs per egg. Enjoy! 1. 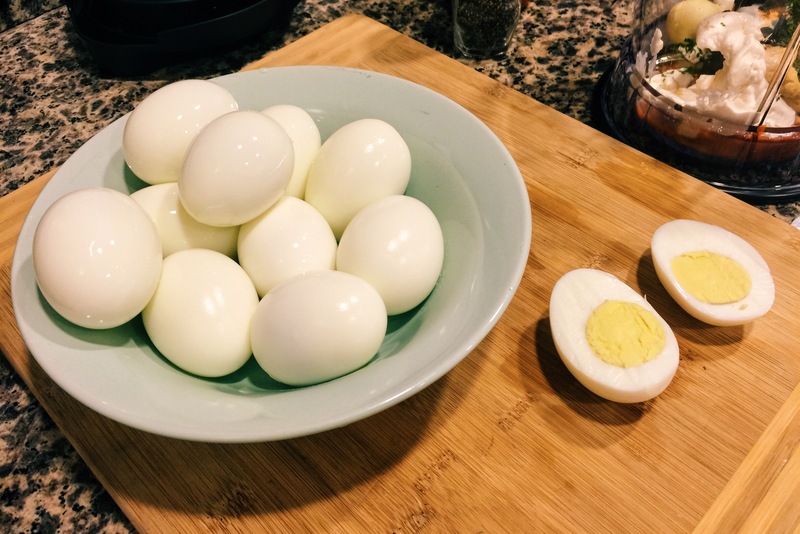 Hard-boil the eggs: (i) place raw eggs in a large saucepan -- all eggs should rest on the bottom of the pan in a single layer; (ii) cover eggs with cold water -- the surface of the water should be ~1 inch above the eggs; (iii) cover saucepan and bring water to a rapid boil over high heat; (iv) turn off the heat & leave the eggs in the covered saucepan on the stove for 10 minutes. 2. Cool & peel the eggs: (i) run cold water over the eggs until they are no longer warm; (ii) allow them to stand until they have cooled completely; (iii) peel the shells from the eggs. 3. Cut the eggs in half lengthwise and carefully remove the yolks. Set egg halves aside to fill later. 4. Make the filling: (i) combine yolks, mayo, mustard, sriracha, lime juice, & cilantro in a bowl and blend together well (by hand or using a food processor -- turns out great either way! ); (2) add salt & pepper to taste, if needed. 5. Evenly spoon the filling into the egg white halves. Top with a dash of paprika and chopped cilantro leaves for garnish.